Katarina ~ a Royal Knight bound by honor and duty who steals a powerful relic from a sorcerer in a desperate attempt to save her kingdom from the clutches of a madman. Ethan ~ a mercenary leader trapped between his growing attraction to Katarina and his responsibility to protect his friends from the evil pursuing her. Zebulon ~ a malicious sorcerer waging war as though it's a game, caring nothing for the lives he destroys in his quest for power. Drawn together by a moonstone medallion—an indestructible relic with immense magical power. Katarina steals the medallion from Zebulon and flees in the dead of night. Together with Ethan and his mercenaries, she struggles to stay one step ahead of the sorcerer and his minions in a race against time to save her homeland. Fierce battles, ravenous monsters, and bloodthirsty brigands—those are no surprise. But Katarina never dreamed her greatest obstacle could be falling in love. 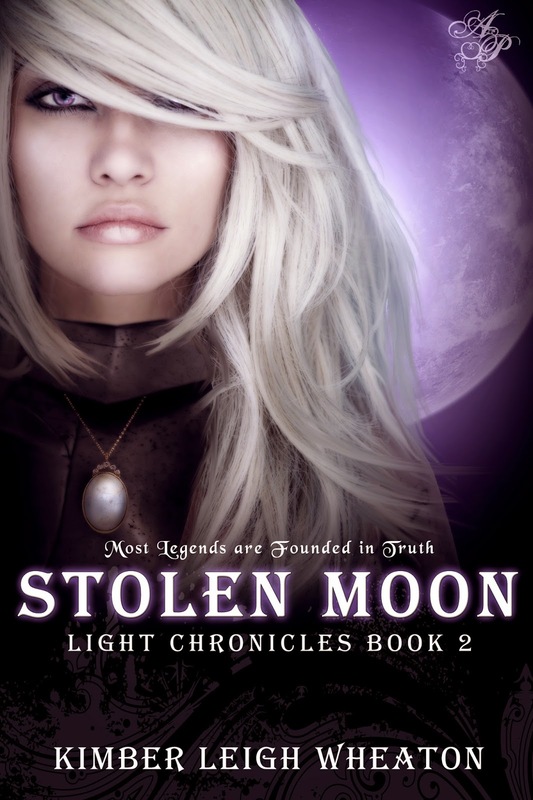 As with the first book in the series, Shadow Fire (read my review HERE), Stolen Moon was equally as captivating and will hook you in from the very first word until the very last! I loved diving back into this world of quests, evils sorcerers, mages, monsters, and so much more. This was a great story with amazing main and supporting characters, unique storyline, with the wonderful addition a lot of humor and romance thrown into the mix! I really enjoyed reading about the supporting characters in this story. Ethan and most of his group of friends had a troublesome past, but they were still so strong, caring, and funny. It was nice reading about how caring and protective everyone was of Katerina once they started to get to know her. As for Katerina herself, she was a blend of everything that you would probably want to find in a main character given a huge and dangerous mission to accomplish. Katerina was a very strong character and took her quest seriously, but at the same time she was also very sweet, caring, and funny. The only thing however that kind of bothered me was the pacing and development of the relationships. I felt that Ethan and Katerina's relationship happened too fast, without really developing first. It was kind of like love at first sight, but nevertheless they were still great characters and their story was very sweet. Like Shadow Fire, Stolen Moon had a pretty interesting storyline, even though technically it was very similar to that of Shadow Fire. But I guess that's expected even if Stolen Moon is a standalone novel, since the story does take place in the same world and are kind of connected to each other in some ways. This book had some action, but most of the story focused on Katerina reaching her destination and training to defeat Zebulon. Overall the pacing of this story, as well as the writing flowed pretty smoothly throughout, and made this story a very enjoyable and fun to read. I definitely loved reading this book and recommend it to anyone who is a fan of fantasy fiction with a mix of amazing humor and romance! 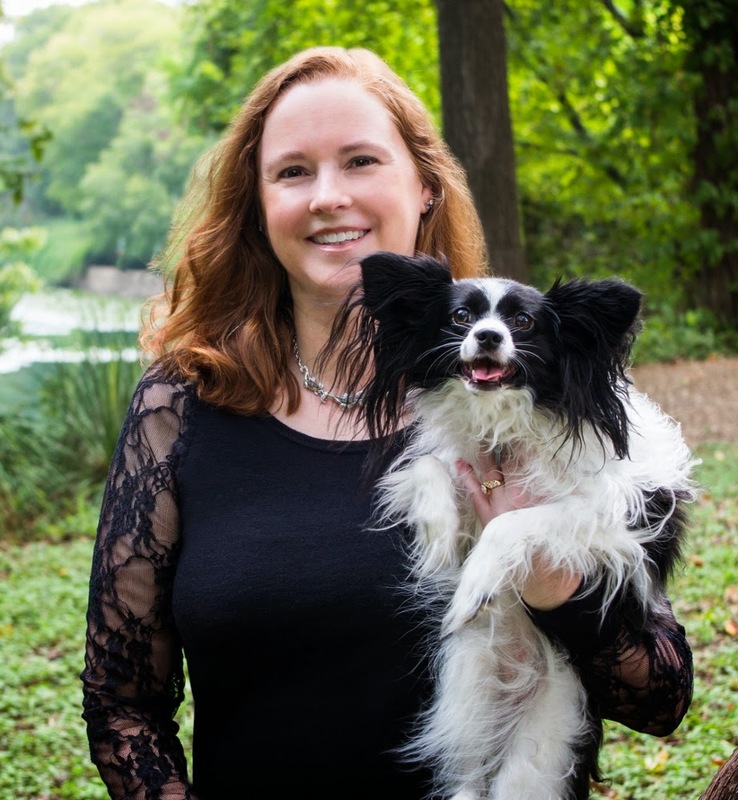 Kimber Leigh Wheaton is a bestselling YA/NA author with a soft spot for sweet romance. She is married to her soul mate, has a teenage son, and shares her home with three dogs, four cats, and lots of dragons. No, she doesn’t live on a farm, she just loves animals. Kimber Leigh is addicted to romance, videogames, superheroes, villains, and chocolate—not necessarily in that order. (If she has to choose, she’ll take a chocolate covered superhero!) She currently lives in San Antonio, TX but has been somewhat a rolling stone in life, having resided in several different cities and states. To enter the tour wide giveaway for a chance to win these prizes, you can go HERE or HERE. Thanks for participating in the tour. I'm so glad you enjoyed Stolen Moon! Great review! I'm glad you liked it and it sounds like something I would enjoy, too. I especially like how well written the characters all seem!